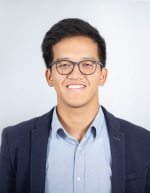 Kevin Tran undertook undergraduate studies in Business Administration at Humboldt-Universität zu Berlin with a semester abroad at ESCP Europe in Paris. Further, he obtained his Master’s degree in Economics and Management Science from Humboldt-Universität zu Berlin. In his Master’s thesis he analyzed a theoretical model of an energy-based economy to identify potential bottlenecks of environmental policy. He also worked as a teaching assistant at the Institute of Accounting and Auditing at Humboldt-Universität zu Berlin and interned at the Potsdam Institute for Climate Impact Research as well as in the Office of the Chief Economist at the European Bank for Reconstruction and Development. He joined the DIW Graduate Center in 2015. In January 2017, he joined the Institute's Firms and Markets department.